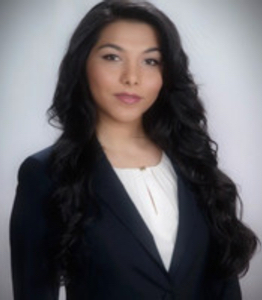 Shima Heidari practices Civil Litigation with an emphasis on subrogated claims involving property damage, product liability, and motor vehicle accidents. Prior to joining Mason Caplan Roti LLP, Shima practiced insurance defence in-house at a large Insurance Company. Shima articled and practiced at a prominent personal injury firm prior to working in-house. She obtained a Bachelor’s degree in commerce in less than 3 years. She then studied towards her Masters degree in Applied Finance and Banking and graduated in 2011. Shima was the recipient of several scholarships during this time. She attended law school at the University of Windsor and graduated in 2014. Shima was called to the Ontario bar in 2015. Shima has appeared before the Superior Court of Justice, Ontario Court of Justice, Small Claims Court, FSCO, License Appeal Tribunal, Landlord and Tenant Board, as well as Social Benefits Tribunal. In addition to her practice, Shima supports a variety of community initiatives as a volunteer. She is the Chair of the Board of Directors of the Canadian Safe School Network. She is on the board of directors of the Iranian Canadian Legal Professionals as the treasurer and a volunteer with Lawyers Feed the Hungry. She assisted Tirgan Festival as an emcee, and served as the president of the University of Wollongong Alumni –Toronto Chapter for two years. In 2017, Shima helped organize the first Iranian-Canadian Women’s Leadership Conference in Toronto and currently assists Yara Leadership Society with organizing another conference. In October 2017, Shima was the recipient of the Rising Star Award- Under 30 Achievement from the Iranian Women Organization of Ontario. Shima is passionate about her legal practice, community, culture, and women empowerment.